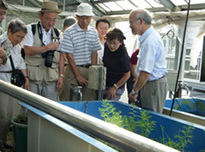 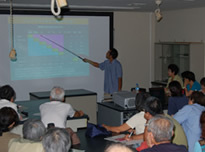 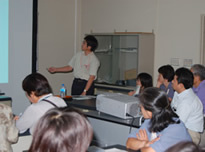 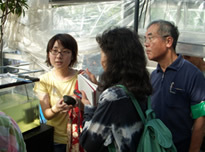 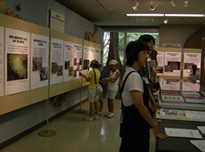 At the Tsukuba Botanical Garden, we believe it is important to discuss biodiversity with many people. 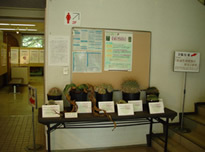 When people understand the concept of diversity and why it is important, they are more inclined to do what is required for conservation. 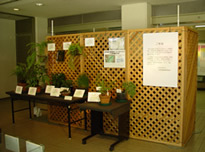 To achieve this, we host activities for the public that include events and exhibitions pertaining to endangered plants. 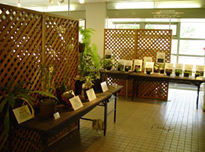 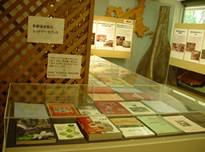 Every year, the Tsukuba Botanical Garden holds an Endangered Plant Exhibition. 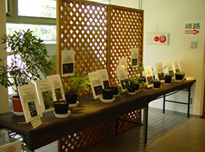 At these exhibitions, the Garden highlights the importance and problem of biodiversity using living plants and poster panels. 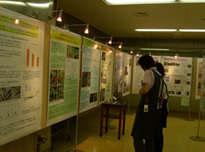 An increase in the number of endangered plant species will seriously decrease biodiversity. 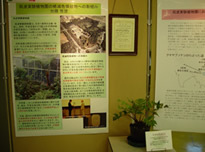 Endangered plant species native to Japan are displayed in this area to allow visitors to understand the importance of biodiversity conservation.